Welcome to our blog, Leadership Matters. In this forum, The Greater Cincinnati Foundation‘s leaders will focus on timely and challenging community issues, and the role that GCF, its donors, and other partners play in creating a more thriving and vibrant community. In our second post, GCF’s Kathy Merchant looks at what it takes to help revitalize our communities over the long term – it’s not quick, and it’s not easy, but it matters. 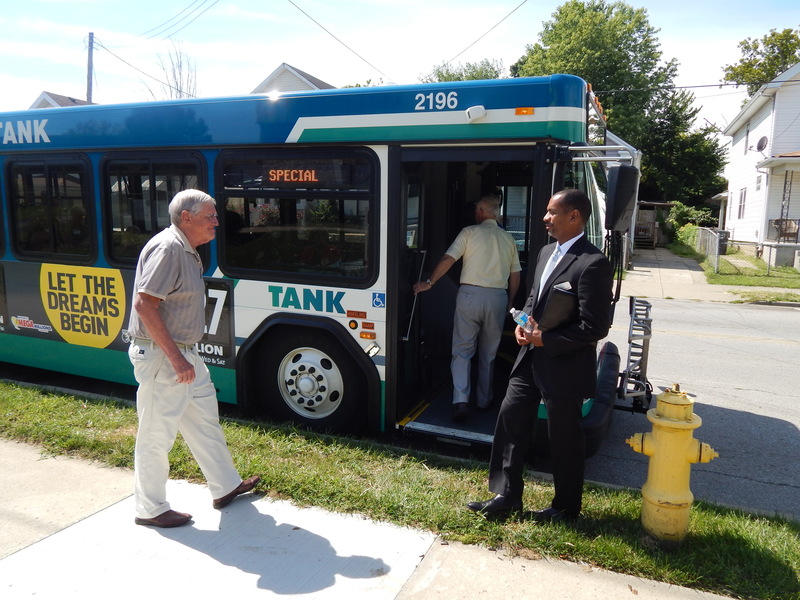 GCF donors take a tour of Covington. See the rest of our tour photos on Facebook. Transformation of Covington’s neighborhoods is advancing at a rapid pace! Just 15 years ago, only a few community organizations toiled in the trenches to slow neighborhood decline – even as the riverfront was being successfully developed in Covington and Newport. 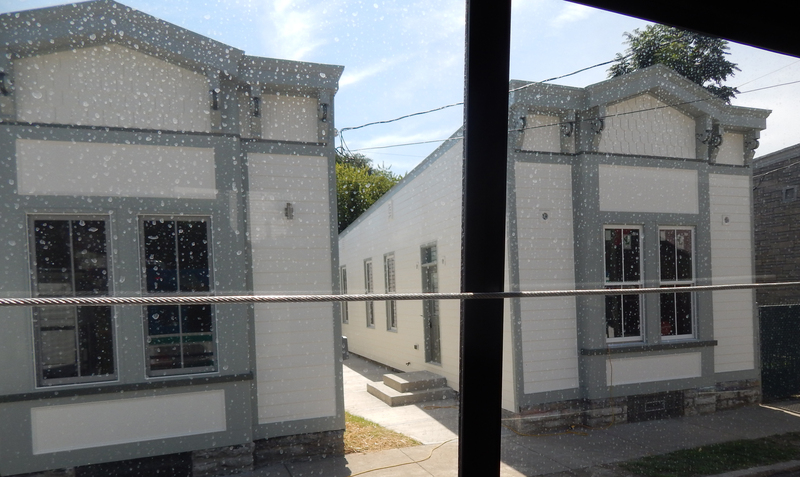 Row houses in Covington being renovated. 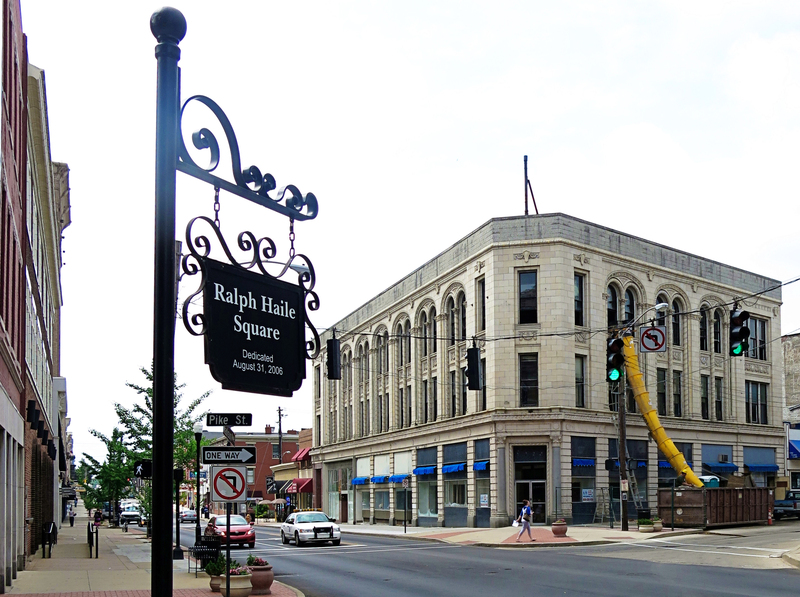 Revitalizing Covington started with a vision for change. Forward Quest (now known as Vision 2015) called for an “urban renaissance” in Northern Kentucky. Slowly but surely, resources and organizations joined to jump start the revitalization effort. The projects our donors saw on the Covington tour resulted from many years of hard work, collaboration among multiple partners, and a series of complex funding strategies. GCF is proud to have been a strong and committed partner throughout this process. What made this possible? Our community’s generous donors. Since 2000, GCF has shared a steady stream of grants, loans, and equity investments from our endowed community funds and from The Northern Kentucky Fund of GCF to renovate buildings, start new businesses, advance K-12 and higher education, support lifelong learning, build a stronger workforce, and revitalize neighborhoods. The total invested by GCF in the leading nonprofit organizations featured in this post is $7.3 million. GCF was instrumental in bringing the Local Initiatives Support Corporation (LISC) to Cincinnati and Northern Kentucky. LISC is a national organization that works through local programs to help community residents transform distressed neighborhoods. LISC provides financial resources, shapes public policy, and provides technical assistance. Since 2000, LISC has helped to renovate nearly 2,000 houses and apartments and 1.2 million square feet of commercial space in Cincinnati and Northern Kentucky. Starting in 2007, LISC tapped Covington for a comprehensive initiative called PlaceMatters, patterned on a national LISC model called Building Sustainable Communities. Cincinnati Development Fund (CDF) has worked for 25-plus years to finance community development efforts in the region. GCF made its first impact investment to CDF in 2002 to help begin a process of diversifying the downtown neighborhood by adding more middle income residents to alleviate the concentration of poverty, and has since approved a second loan. Now, CDF is financing a 32-unit rental conversion project in historic downtown Covington, complementing the commercial and other projects of the Catalytic Fund. UpTech is a start-up business accelerator formed in 2012 to leverage the talent and knowledge generated by Northern Kentucky University’s College of Informatics. GCF provided $45,000 in start-up funding for operating expenses, and recently approved a $200,000 equity investment. 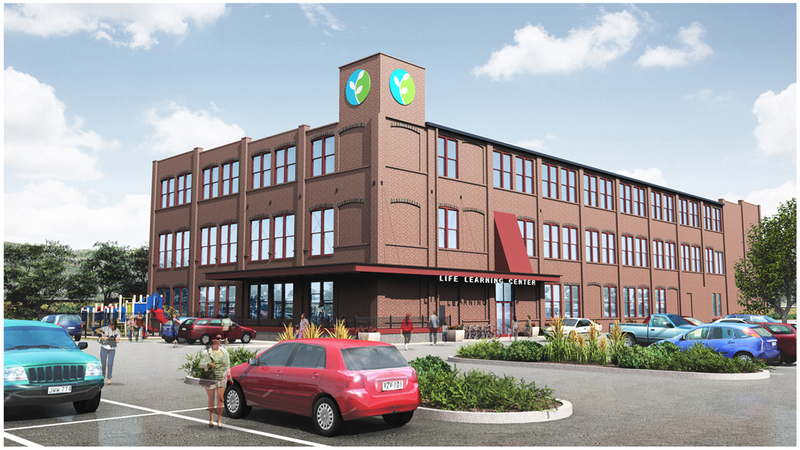 Life Learning Center will soon have a new home to provide comprehensive life skills training and employment support in the formerly vacant and blighted Stewart Iron Works building adjacent to the Center for Great Neighborhoods. The Catalytic Fund has provided critical development services to get this project done. GCF provided grants to plan and develop this new community resource. Progress in these neighborhoods and the ways it is funded are ground-breaking (pun intended) and are being noticed around the country. In fact, LISC chose Cincinnati for its recent national board meeting because we have so many great projects going in our region. GCF is proud to have the flexible charitable capital and patience to make investments in long-term change, even when the results may not be immediate. Which brings us back to our donors. We are able to make investments like this using endowed funds entrusted to GCF by generations of donors who care about our community, but have no way to predict what its needs will be in the future. If not for these donors’ generosity, we would not have the resources to support community change that really matters.